Whereas most species of peony are Eurasian in decent, there are two species of peony that are native to North America. 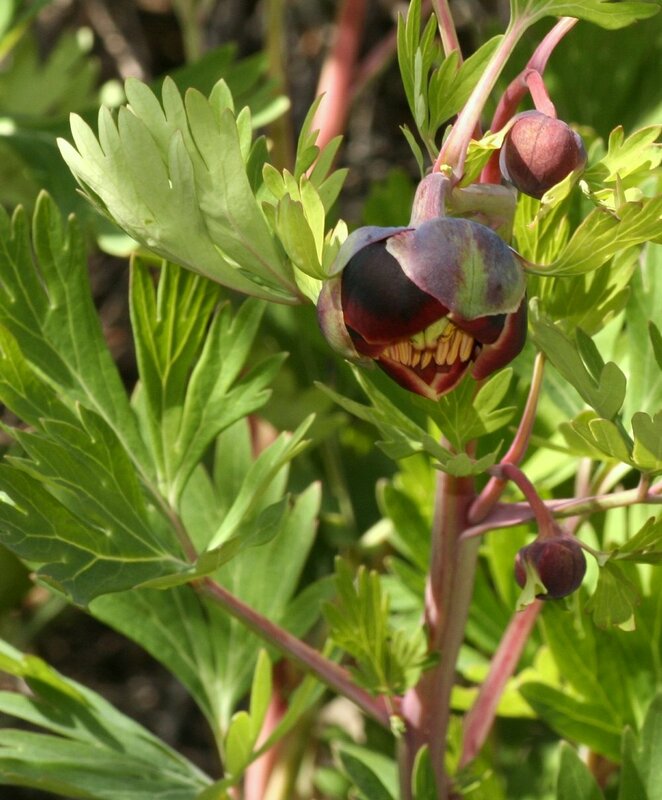 Brown's peony (Paeonia brownii) inhabits high elevation regions of most of northwestern North America. The California peony (Paeonia californica) has a much narrower range, limited to southwestern California. Some feel it should be considered a subspecies of P. brownii. While not as showy as their Eurasian cousins, they are nonetheless quite interesting plants!